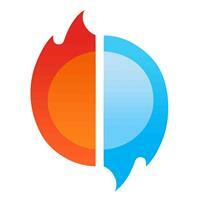 Moorhouse Heating And Plumbing - Central Heating Engineer, Plumber based in Sutton, Surrey. Moorhouse Heating and Plumbing is a well established family run company that has a proven track record of reliability, high quality workmanship and competitive pricing. Prior to establishing Moorhouse Heating and Plumbing we have had over 8 years experience at a leading Gas company - servicing, installing and repairing every type of appliance and rectifying any central heating issue. We are based in Sutton and cover Surrey and South London. We're fully insured and highly qualified. The phones are on 24 hours a day so feel free to call for anything from a dripping tap to a complete installation. All quotes are free and no obligation. We aim for a friendly, fair, efficient and complete service. Sutton,Wallington,Epsom,Coulsdon,Worcester Park,Carshalton,the whole of Surrey and south London.